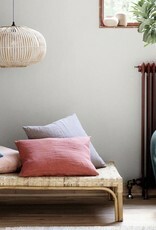 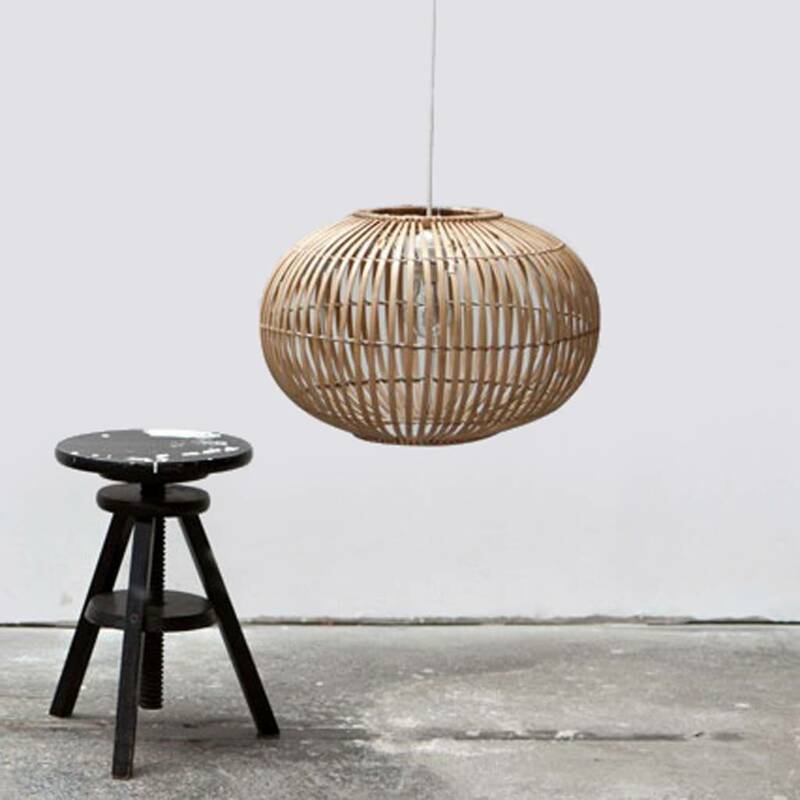 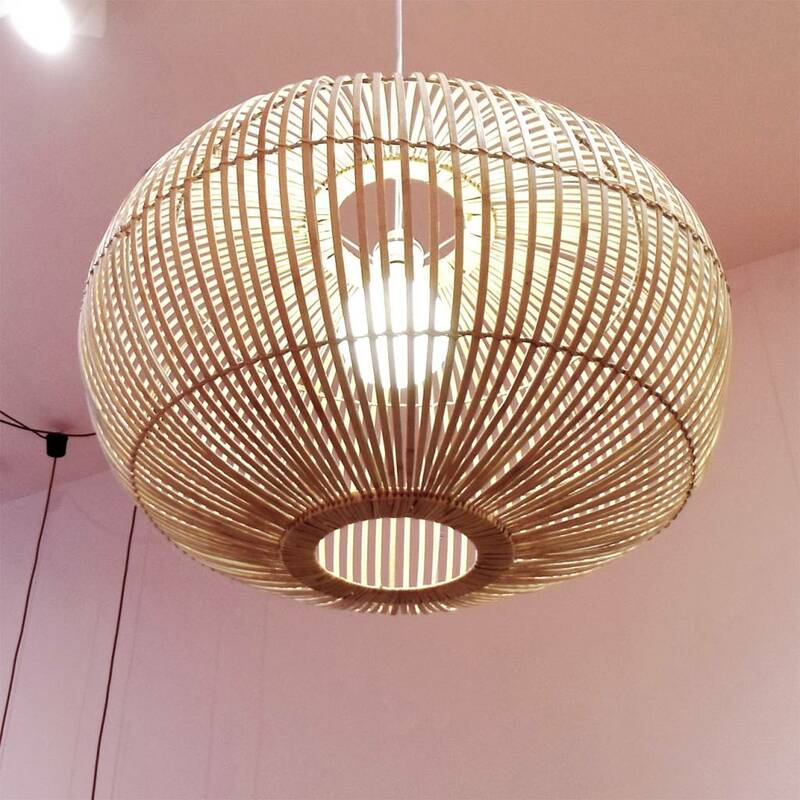 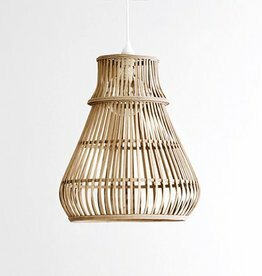 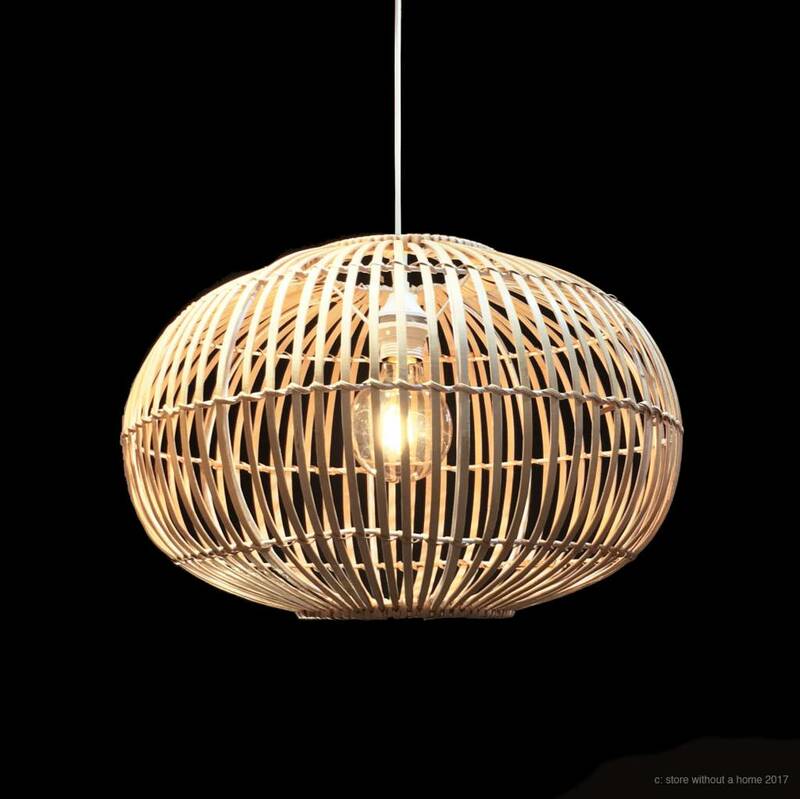 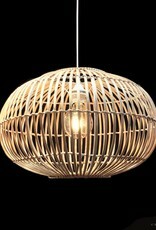 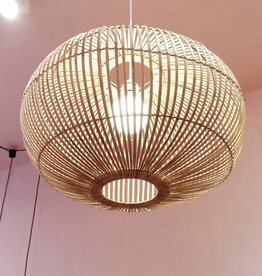 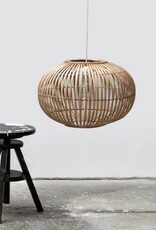 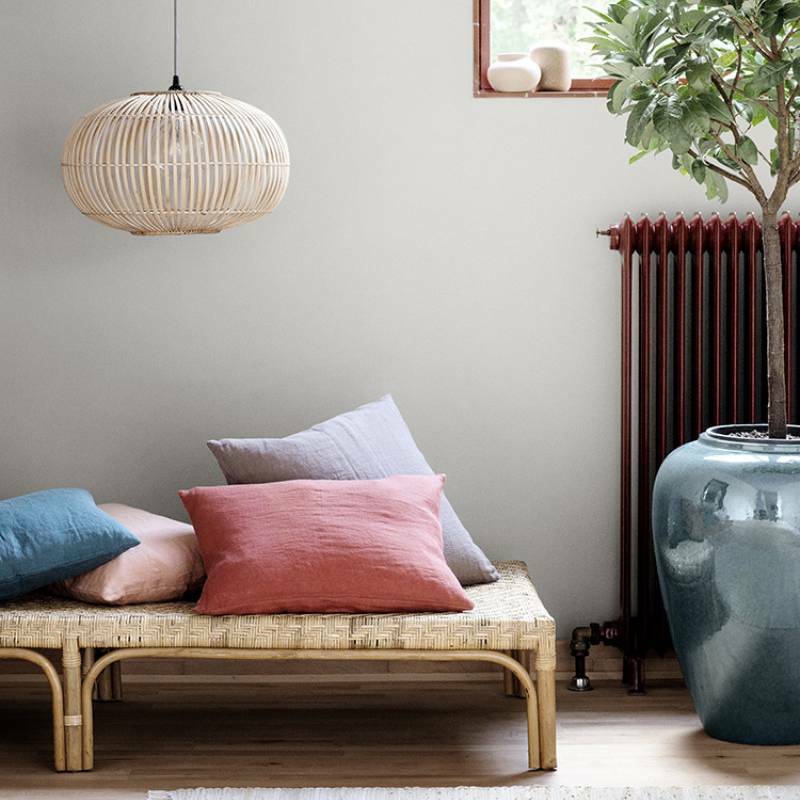 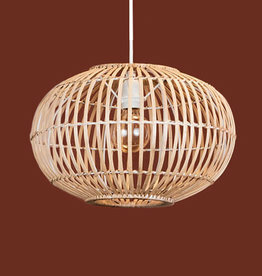 Danish pendant lamp made of small strokes of bamboo wood. 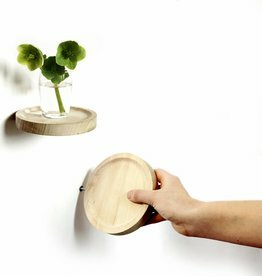 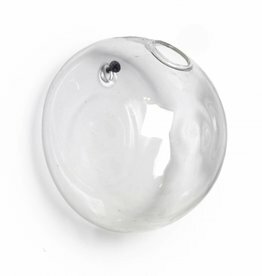 Size: 50 x 50 x 32 cm. 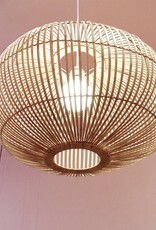 Includes white cord and ceiling rose.